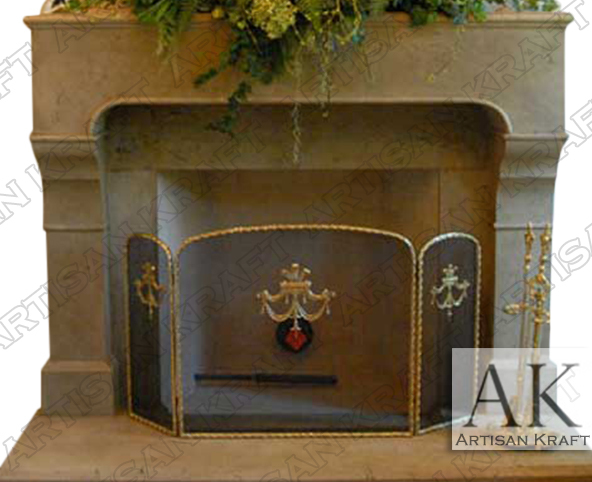 French design makes the Chantel Fireplace Mantel a beautiful addition to any living space. The earth tone greenish brown color shows the vast color spectrum of our cast stone surrounds. Smooth flowing clean lines designed to make a simple lasting impression. Our light weight precast makes remodeling possible where weight is a concern. This traditional French design has a contemporary feel. This surround facing can also be carved from marble or limestone. Typical Dimensions: 68″ wide x 52″ high *can be made to custom dimensions. Materials: Sandstone, cast stone, limestone, sandstone, marble etc. Available in many different colors, textures and finishes.